Learn the basic process of decal printing and decal transfers on to clay. Students will learn how to select a printer for decal printing, and what makes LaserJet toner an effective ceramic stain. Students will each have the chance to create at least one decal piece. See Materials for more info on what to bring and how to prepare. Before the workshop students will need: at least one piece made in the SCS studio, completely fired to cone 6 or cone 10 (preferably glazed in a white, light, or clear glaze), commercially produced ceramics and pieces made outside of the Shelburne Craft School may not fire correctly. Students will also need at least one black and white or grayscale image no larger than a quarter sheet of printer paper or 2" x 2.5". Multiple images are okay as long as they fit in that space and need to be emailed to the instructor 48 hours before the start of the workshop. 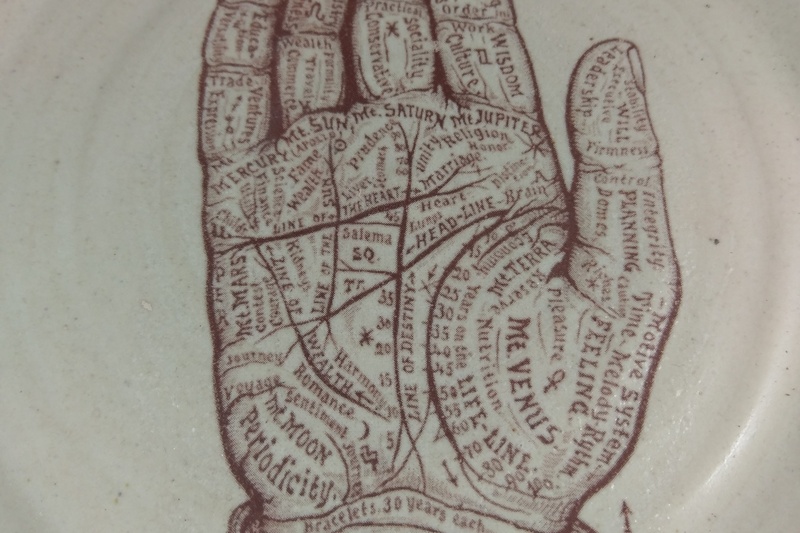 Images can be anything from logos to line drawings to photographs and they will appear sepia-toned after firing. Before Class Students email instructor images of what they want to print. 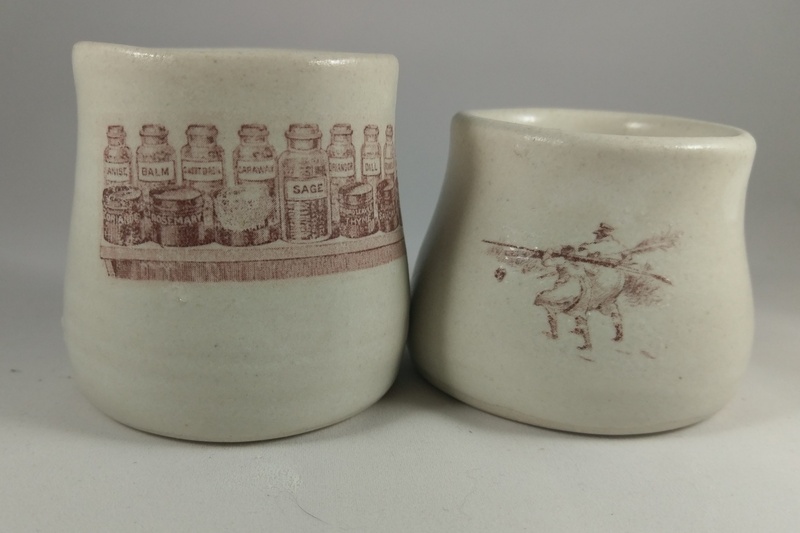 Then they arrive with at least one piece made in the SCS studio, completely fired to cone 6 or cone 10 (preferably glazed in a white, light, or clear glaze), commercially produced ceramics and pieces made outside of the Shelburne Craft School may not fire correctly. Then students will learn how to make print transfers.